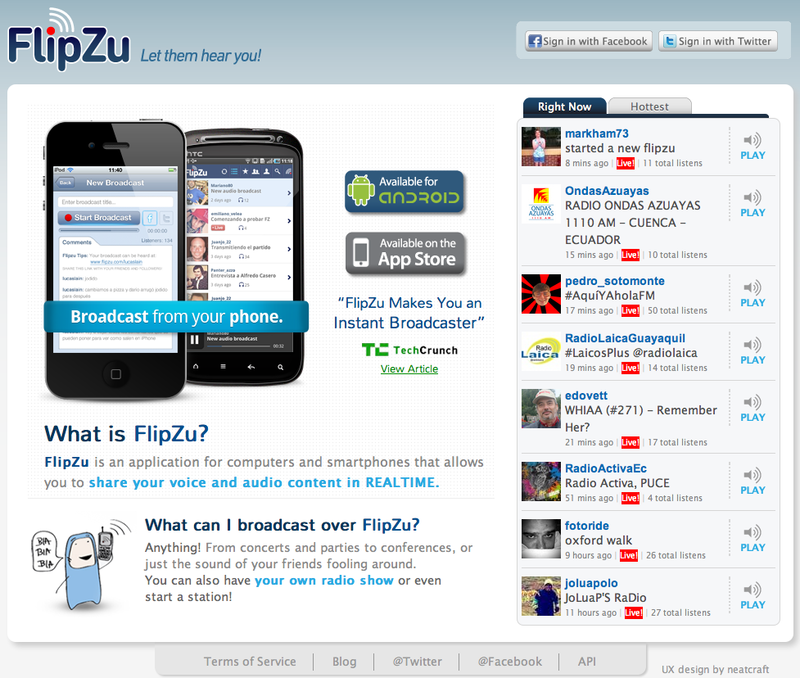 Flipzu (as a radio platform) is closed. Textile Designer and Plastic Artist. Flipzu user number ONE. She used to play music to her friends. Radio show in Argentina. Avid Flipzu user! Brasilian Journalist. She used Flipzu to share opinions with her followers. Thank you Rosana for being such a nice person! Argentinian Celebrity. He's on TV and Radio. He used Flipzu to share music with his followers. VP Marketing at Mercadolibre. Thank you for connecting us with other people! Entrepreneur. Founder at pMovil. Thank you for giving us money! Boca Jrs Fan and Friend. Thank you for supporting Flipzu from the beginning! Founder at Cinemaki.com, Friend and great mentor. Thank you for all the endless conversations! Best Anchorman of all times. Thank you for shooting "The Anchorman 2". We're in a glass case of emotion! Craziest radio show on Flipzu. Thank you for all the friday nights! The most popular Flipzu radio show! Thank you for your endless nights of music and friendship. Entrepreneur and Friend. Thank you for giving us inspiration! UX designer / usability consultant. Thank you guys for working with us! Developer at Flipzu. He's such an amazing coder. He's a real Ninja! Co-Founder at Flipzu. Android developer and Streaming magician. Co-Founder at Flipzu. iPhone and Web developer. Heck yeah, He loves Pepsi! That's all folks! Stay tuned!